Giving birth, adjusting to your new life as a mother and getting to know your child in those first few months should be a wondrous, exciting and cuddle-filled time, but for many moms it is filled with insecurity and anxiety over the weight gained during pregnancy and the fear that their body will never be the same again. In this article, we’ll go over some of the best ways to lose the baby weight after pregnancy. For the uninitiated, veganism is a lifestyle and diet that avoids the consumption and use of any animal products; this includes meat, fish, dairy, eggs and even honey. To some, it can sound extreme, but the vegan diet is growing exponentially in popularity due to the amazing environmental, health and mental benefits it can bring. Studies have shown that a vegan diet reduces your chances of developing cancer, helps you to lose weight, and will help keep your baby healthy, after all, cow’s milk was meant for baby cows, not baby humans. Losing weight isn’t just about your diet, it’s also about exercise. For many new moms, finding the time or energy to get up and go for a run or hit the gym can seem near impossible, but it is important to try and fit in at least a little bit of exercise every week to start regaining strength, balance, and weight loss. 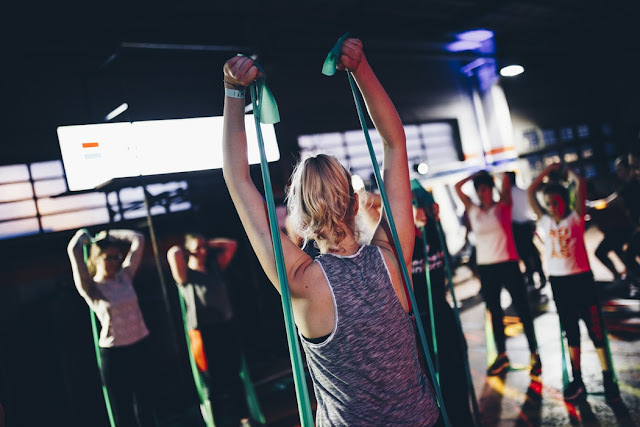 Of course for the first couple weeks after giving birth, you’ll probably want to take time to be with your newborn and let your body rest, but once you’ve started to heal, consider joining a class of some sort to help you get back into exercising regularly. The HCG diet is somewhat unknown but is gaining in popularity. It proposes a radical way to lose weight without feeling hungry, which is great for new mama’s. It centers around the use of the pregnancy hormone HCG or Human Chorionic Gonadotropin, which is what your body will have produced in high levels during the first stage of your pregnancy. This coupled with a diet of around 500 calories per day leads to radical weight loss. To learn more about the HCG diet, you can visit the HCG diet review website. Yes, that’s right, breastfeeding can help you to lose the baby weight. So long as you are eating a varied and balanced diet, breastfeeding can help you to lose the extra fat gained during pregnancy. Every time you nurse your baby, your body starts burning calories to make milk, which in turn helps you to lose weight. Not only that, but breastfeeding can cause your uterus to start contracting after birth, which will help your stomach to gradually return back to its previous state. The reason your body gains fat during pregnancy is to create extra fat stores for when you are breastfeeding, so it’s only natural that after you have the baby and start to nurse, these fat stores will begin to be used up.